The thought of stripping off the winter woolies and donning a bathing suit can be daunting for many of us. Winter is typically the time when we indulge in our favourite foods, exercise less, spend more times indoors and ultimately end up gaining a few extra kilos or two. And while some of us may be content to pound the pavement in spring or spend hours in the gym to reclaim our summer bodies, others will shudder at the thought. Move 1. Core rotation. This works as many muscles of the core as possible. Standing in chest deep water, put your hands together with your arms outstretched and placed five centimetres below the surface of the water, pushing against the water from the left to the right, creating as much friction as possible. You want your arms to remain under the water to create resistance for the muscles when you move your arms from side to side. You want to make sure your feet stay in the one place pivoting from side to side as your arms move in the water. The faster you go, the harder it will be on your core. Do 10 – 15 reps.
Move 2. Wall sit-up. Put your legs up on the side of the pool edge with your calf and feet on the edge of the pool and your backside up against the pool wall. It’s probably easiest to do this in the shallow end of the pool so that you can balance yourself. Using a towel on the edge of the pool will mean you will not slip. Lay back in the water and bring your body upwards in a sit-up position then lower your body back into the water again. Really squeeze your abdominals, using the water as resistance as you pull your body up out of the water. The deeper you go the harder the sit-up will be. Repeat 20-40 times. Move 3. Superman kicks. 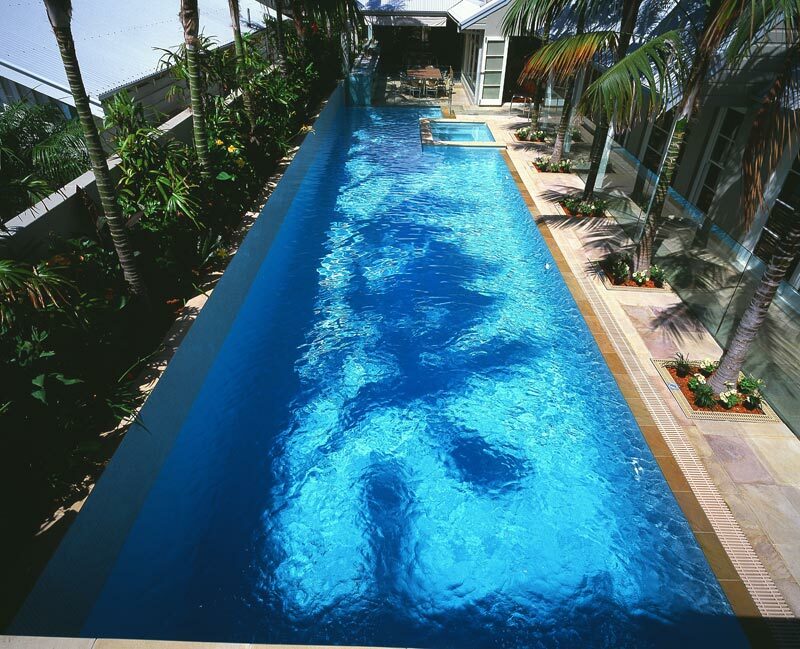 Hold onto the edge of the pool with your arms outstretched and your legs extended out straight behind you. Kick your legs as hard as you can underneath the water. Keep your abs nice and tight and continue kicking for 30 seconds. Move 4. Straight leg raise. Pin yourself up against the wall with your arms outstretched either side and your back and hips up against the wall edge of the pool. Using your core, put your legs together and lift your toes up towards the surface and then slowly lower them down. A great exercise to work those lower abdominals. Repeat 10 to 15 times. Move 5. Bicycle kicks. Put your body in the same position with your arms outstretched on the edge of the pool and your hips and back firmly against the wall of the pool. Bring your legs up together at 90 degrees to your body and move them in a bicycle motion. Repeat for 30 seconds.